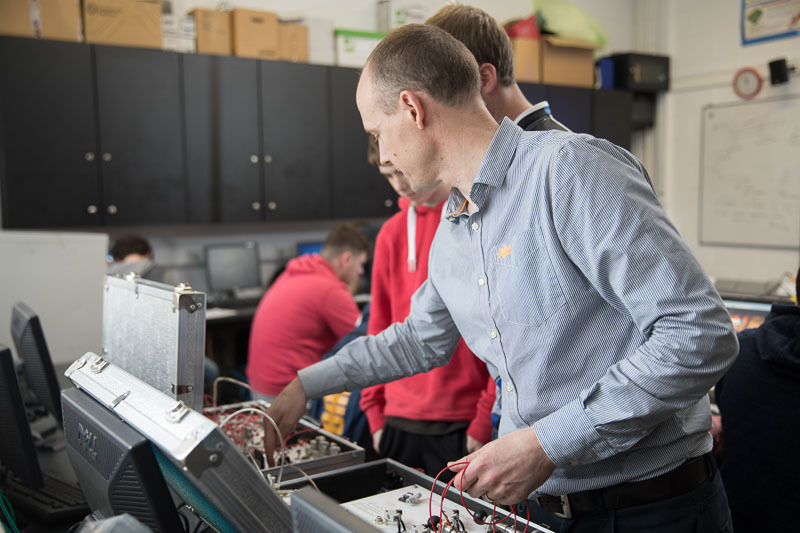 Students should have successfully completed an appropriate QQI Level 5 course such as Renewable Energy Technology and Control Systems, Engineering Technology, Electronic Technology – Robotics, or Motor Vehicle Maintenance, all available at Cavan Institute. Mature applicants (aged over 23) who do not meet these entry requirements will still be considered. This course may also be of interest to graduates with qualifications in non-computer disciplines who wish to pursue training in this area. This level 6 course enables students to reach an advanced level in the area of renewable energy and automation/control systems. Students gain a deeper knowledge and appreciation of the latest technologies. Upon successful completion of the course graduates should be able to interpret customer requirements and provide advice on the solution options available. As part of this course student are given the opportunity to gain work experience in a relevant company for 2-3 days per week with classes contact confined to 3 full-time days per week. There is a very high employment rate from this course. Some of the career paths to which this course might lead include engineering management, sustainable design engineer, energy consultant, control engineer and process/project engineer.